The global market may ebb and flow around gigantic companies and worldwide conglomerates, but the tides of economic change are driven by entrepreneurs and startups. Apple Inc.’s beginnings can be traced back to a garage in Los Altos, CA. 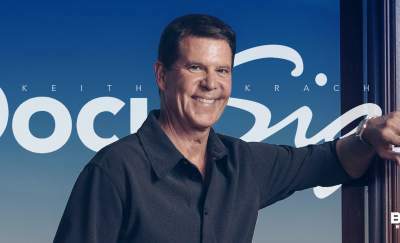 There, one of the three company founders hand-built his notion of what the future of personal computing held. Facebook, meanwhile, began as a program written by a sophomore at Harvard University in Cambridge, MA. Both were humble startups hatched from the minds of entrepreneurs. Both are now corporate giants. Yet every budding Apple and would-be Facebook needs fertile soil in which to grow. And when it comes to planting these seeds in the US, all are not equal. Which are the best cities to start a business for entrepreneurs and startups? The fruits of this kind of fertile soil are evident in the cities that produce them. 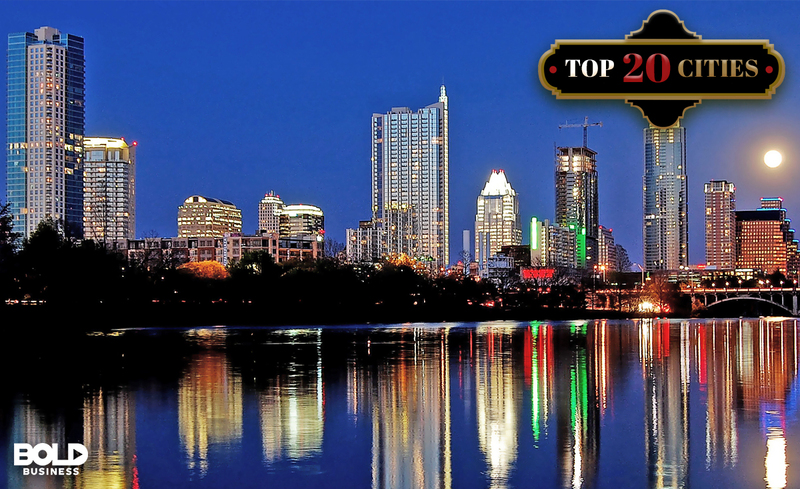 When it comes to Bold Business, Austin’s’ entire ecosystem of support from venture capital, key big companies, large entrepreneur community, governmental support and innovative use of blockchain to transform into a smart-city puts it on this list for best places to start a business. For Atlanta, the wealth of talent has produced a growing FinTech hub as well as one of the primary cities that is incubating BioTech start-ups. While Tampa/St. Petersburg‘s Waterstreet Development, Synapse and top awards of women-owned businesses and recognition as a top spot for women to launch a company earn it its spot. 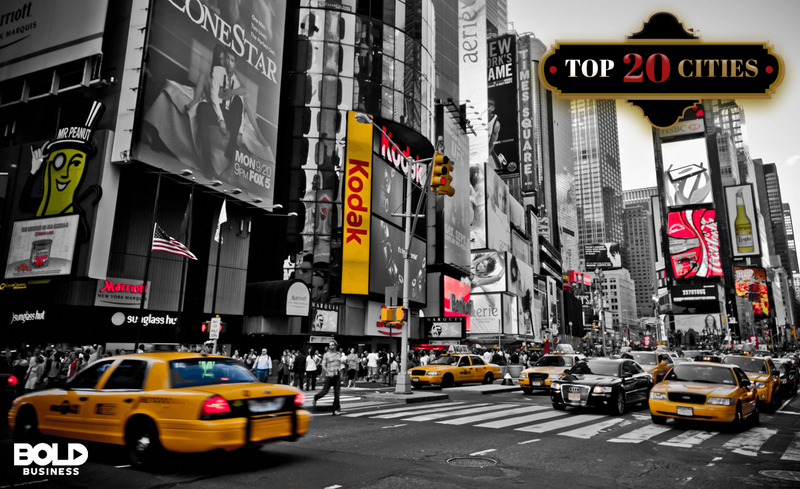 So here, in no particular order, are the top 20 best cities to start a business for entrepreneurs and startups, as seen through the lens of Bold Business. Austin leads the US in number of startups per capita. This makes it a shoe-in as one of the best cities to start a business. Partnerships and investments reached $600 million in 2016. This explains why it ranks ninth in growth rate among all metropolitan areas. In addition, there were around 100,000 new residents in 2017 and 2018. This has helped the population get closer to a million people. The startups are mostly in education, tech, data science and healthcare. A disadvantage is the median housing cost of $409,000, which is higher than the country’s median housing cost. However, Texas has a low state- and local tax rate, and there’s no personal or corporate income tax in Austin. The population is close to a million, with an unemployment rate of 3.2% and a per capita income of $34,959. Springfield’s cost of housing is about 22% lower than the national average. The cost of living is also 10% cheaper, and the average commute time is just 20 minutes. These are big draws in attracting millennials and their families. Springfield has a population of 159,498, with a per capita income of $23,691 and an unemployment rate of 3.3%. The median housing cost is $134,900. 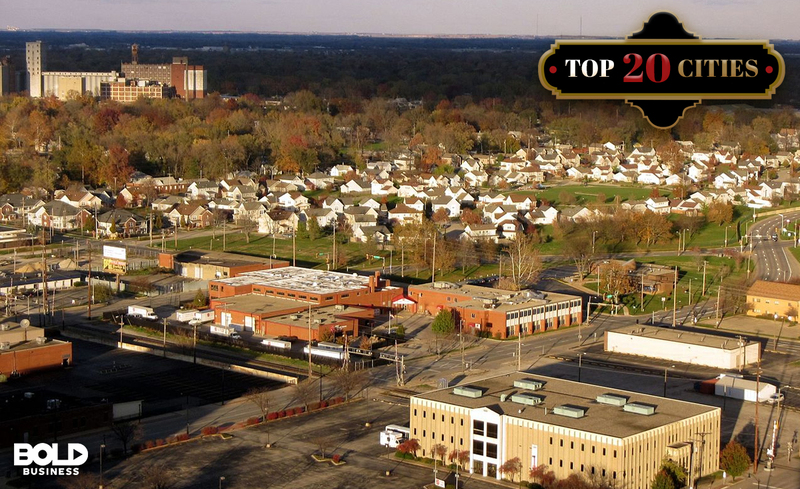 The reason Springfield is on the list of best cities to start a business? Missouri State University’s Small Business and Technology Development Center, which is dedicated to assisting small businesses and startups, and it provides training, products and solutions aimed at helping small business owners and entrepreneurs. 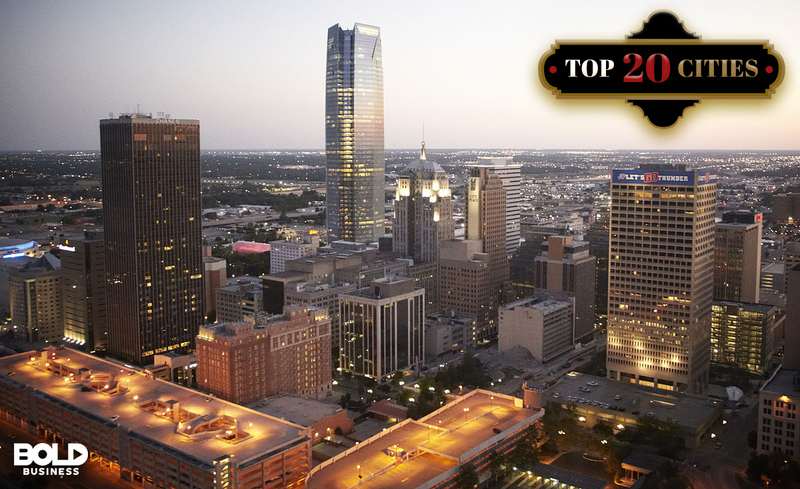 The capital city of Oklahoma tops most lists of best places to start a business. It is praised for its low energy costs, low cost of living, and overall low cost of doing business. It also has reasonable local- and state tax rates. In addition, Oklahoma provides incentives to start a small business, or to transfer to or expand in the state. Companies can receive cash back on payroll if they pay better than the county’s average. Oklahoma City’s population is 620,000, with an unemployment rate of 3.5%. The median housing cost is only $184,900, while per capita income is $26,275. With a business accelerator program that helps startups get funding for expansion and growth, Oklahoma City is one of the best cities to start a business. 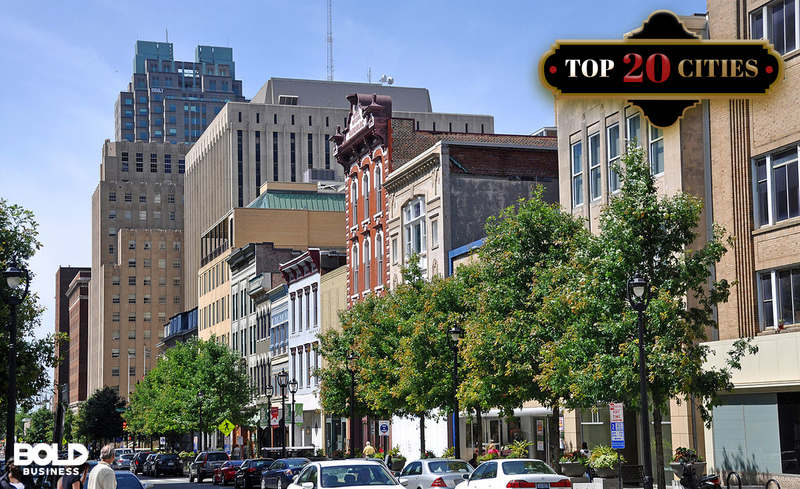 Durham is part of the North Carolina Research Triangle, which includes Raleigh and Chapel Hill. The main draw is Duke University, which makes the area family-friendly, and a source of tech personnel to feed the growth of startups. 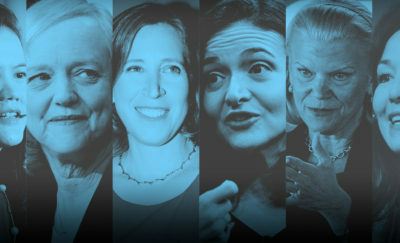 There is also a demand for other tech specialists, like those focused on clean tech, pharmaceuticals and medical care. Around 30,000 migrate to Durham every year, as the area has a strong job market and a low unemployment rate of 3.7%. Startups get good financial support in the form of tax credits for job creation, investment, and research and development. 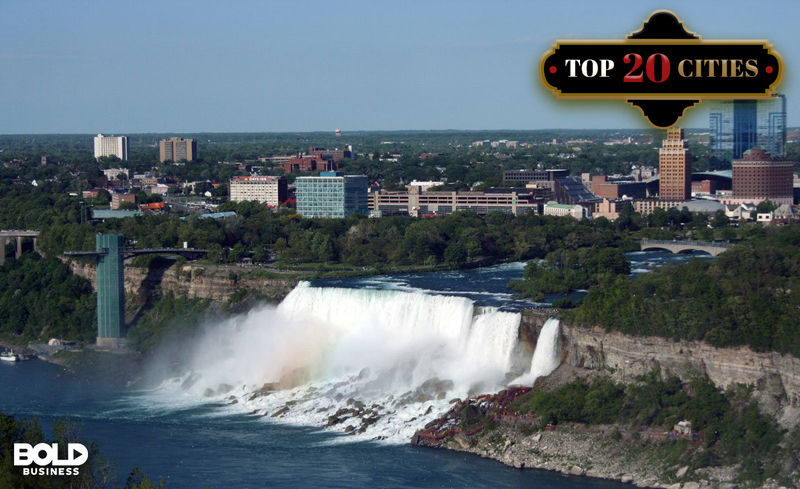 It has a population of 257,636, with a per capita income of $32,362, and median housing cost is $260,000. Part of the Research Triangle, Raleigh has a ready pool of talent courtesy of North Carolina State University, Duke University and the University of North Carolina. It is estimated that there will be 12,000 new jobs in the area in the coming years, with IT leading the demand. 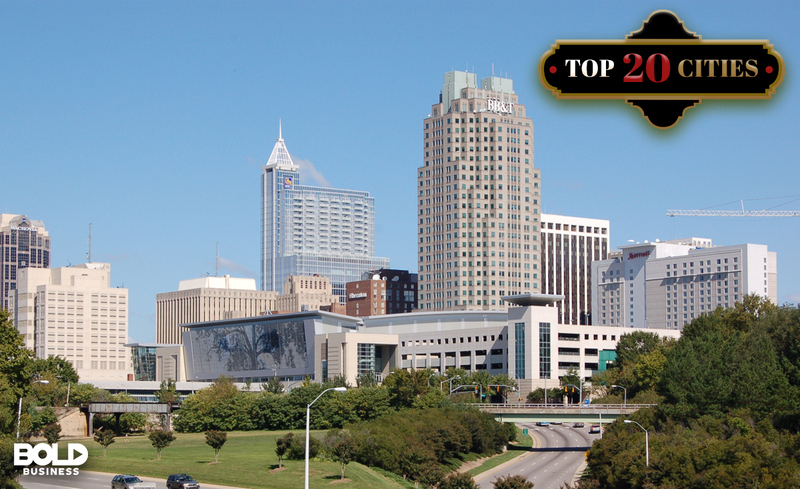 Raleigh has a population of 451,066, with per capita income of $32,362 and an unemployment rate of 3.7%. The median housing cost is $314,900. The most populous city in the country has long been a major seat of commerce and industry. It’s also a financial and cultural nexus point for the world – making it a great place for entrepreneurs and startups to incubate and innovate. A number of top tech companies have staked out real estate in the Big Apple, not the least of which is Google LLC, but it’s almost impossible to walk ten blocks without running into a fledgling startup or venture capitalist. The nation’s capital doesn’t belong to any particular state, but Washington, DC can boast a broad pool of talent that stretches from nearby Northern Virginia to the Maryland suburbs just north of city limits. 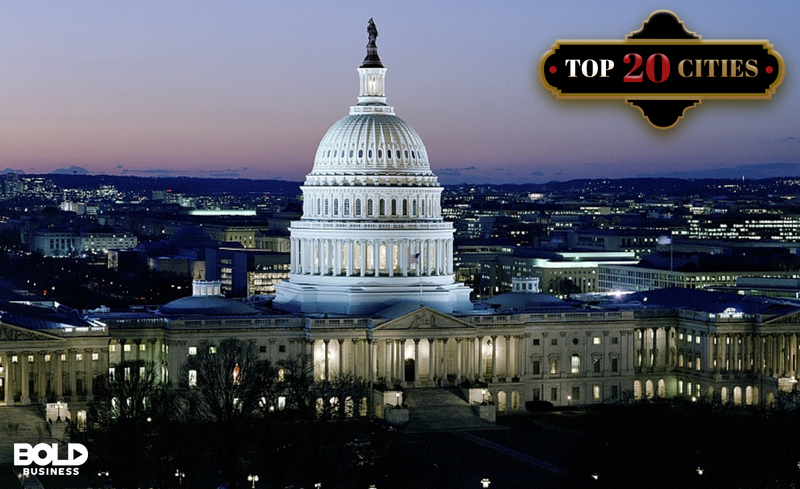 In terms of cash floating about, DC is ranked as the sixth largest metropolitan economy. And though much of the business done in DC is of the “governmental” variety, with 25% of those working in DC working for the federal government, there’s still plenty of venture capital for startups to soak up. Tampa and Saint Petersburg lie on the West Coast of Florida, and the sun-drenched metropolitan area has become a great incubator for startups of late. 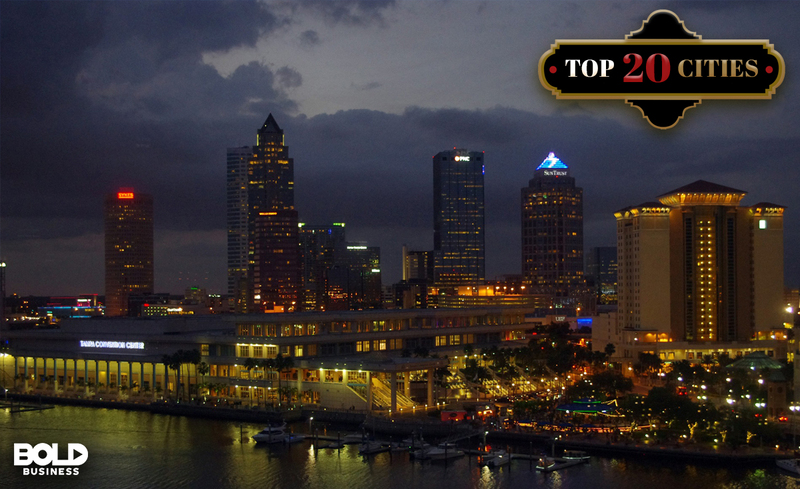 The city ranks among the top ten in high rate growth in the nation, and the Tampa Bay region offers tremendous recreational opportunities, world-class restaurants, and thriving retail businesses. 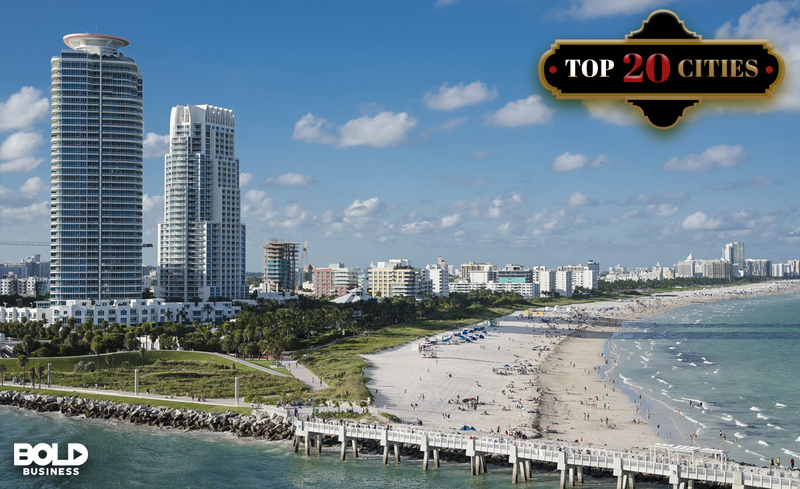 The city is also home to top research and educational institutions, like University of South Florida and the Moffitt Cancer Center. Salt Lake City is home to a growing number of tech entrepreneurs and other tech startups. It has a highly-educated pool of potential employees from the University of Utah, Utah State and Brigham Young University. This is one of the reasons for eBay’s decision to set up a facility that employs 1,500 workers there. 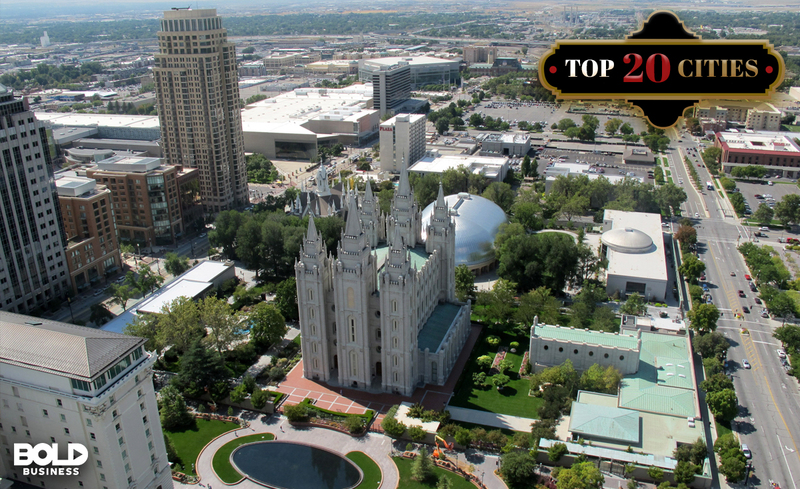 Recently, Utah topped a US Chamber of Commerce list for innovation and entrepreneurship. Salt Lake City has a population of 186,440, with a per capita income of $28,192 and unemployment rate of 3.1%. The median housing cost is $369,900. Orlando has a high startup density, as it has 105 firms younger than one year old for every 1,000 businesses. In addition, 72.2% of entrepreneurs consider their business as their primary source of income. 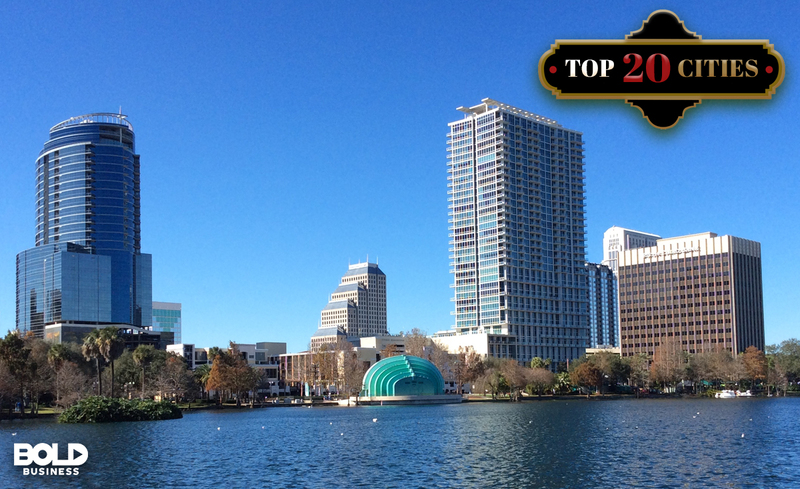 Attracting startups may be easy for Orlando- its tax-friendly policies put it high on lists that quantify tax friendliness. Orlando’s proximity to a track used for testing a driverless-vehicle program puts the city high on the list of best cities to start a business. 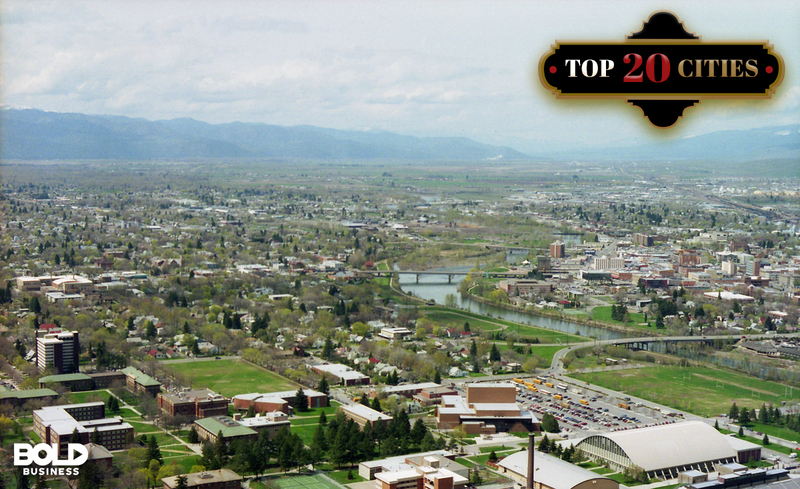 Missoula is Montana’s second largest city, with a population of 107,320. The median home price is $260,000, which is relatively high for the Montana. The startups in Missoula focus on education, small business, government and healthcare, which includes companies focused on medical devices, as well as biotech startups. Most local tax breaks are for eco-development projects, but startups can get help from the nonprofit Montana Community Development Corporation. It lends a total of $3 million yearly for startups and small businesses. Miami is one of the most entrepreneurial cities in the US, with 560 new entrepreneurs and startups for every 100,000 adults per month. It also ranks highly in startup density, with 107.8 employer startup firms younger than one year for every 1,000 employer businesses. In terms of total venture capital investments, it ranks within the top 10 with more than $1.3 billion. Miami’s use of face-scanning technology at their airport secures their spot on this Bold Business list. Grand Rapids has evolved from a city focused on the production of furniture to a growing hub of small-business startups - clear evidence it is one of the best cities to start a business. The city’s economy grew by 3% in 2016 and 2017, and the Michigan Small Business Development Center is devoted to helping startups and entrepreneurs alike. Affordable housing has attracted millennials and young families to taking up jobs in the city. 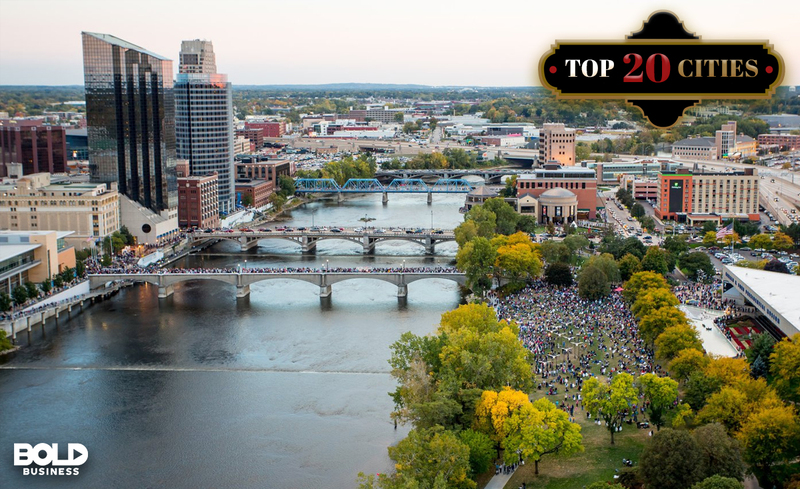 Grand Rapids has a population of 188,040, with a per capita income of $28,029 and an unemployment rate of 2.4%. The median housing cost is $374,900. 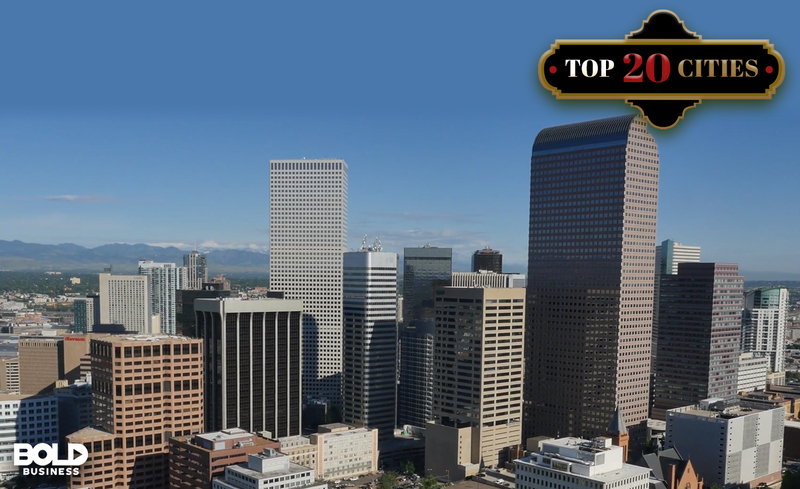 Denver has one of the lowest unemployment rates in the country, and in 2016 was ranked the best place to live in America. It has a low business-operations cost, and is highly regarded for having a business-friendly economy. The city has a high rate of startup growth at 74.9%, making Colorado one of the fastest growing states in the country in terms of business. Denver has one of the lowest unemployment rates throughout the country. The state’s effort to bring in Virgin Hyperloop One to link Denver with local cities puts this city high on this list. 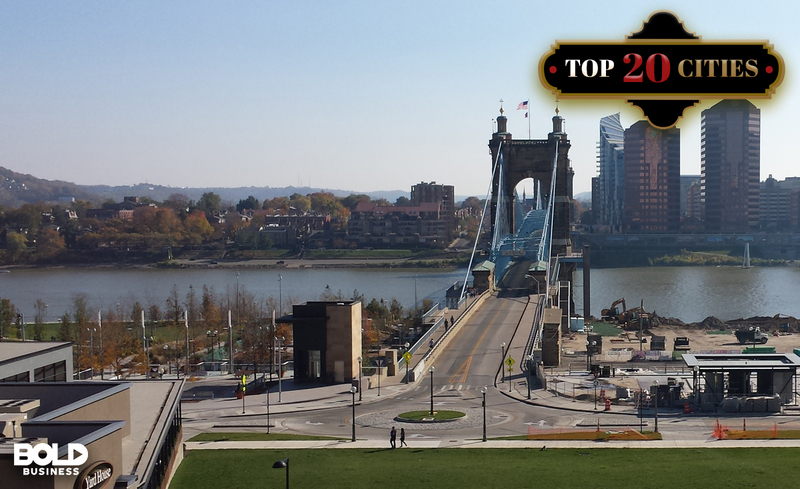 Considered one of the fastest growing economies in the Midwest, Cincinnati is the third largest city in Ohio. Both the cost of living and the unemployment rate are below the national average, and the city is home to such Fortune 500 companies as General Electric and Proctor & Gamble. “Cincy” has also become a hub for startups, with numerous accelerators helping to promote innovation and growth. Add to this equation a tightly-knit entrepreneurial community, and you have a city that’s more than earned its spot on this list. 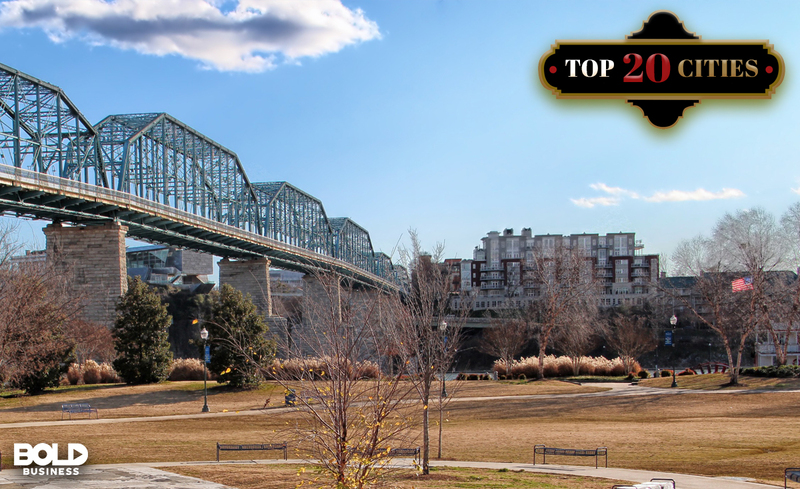 This city in Tennessee was hit hard from post-industrialization, but the efforts and investments of the local government have made Chattanooga a major tech hub in the South. Part of that is due to the fast (but cheap), city-owned Internet network, which is run by the Electric Power Board of Chattanooga. There’s also an Innovation District, with a healthy startup ecosystem that has attracted entrepreneurs and venture capitalists alike. 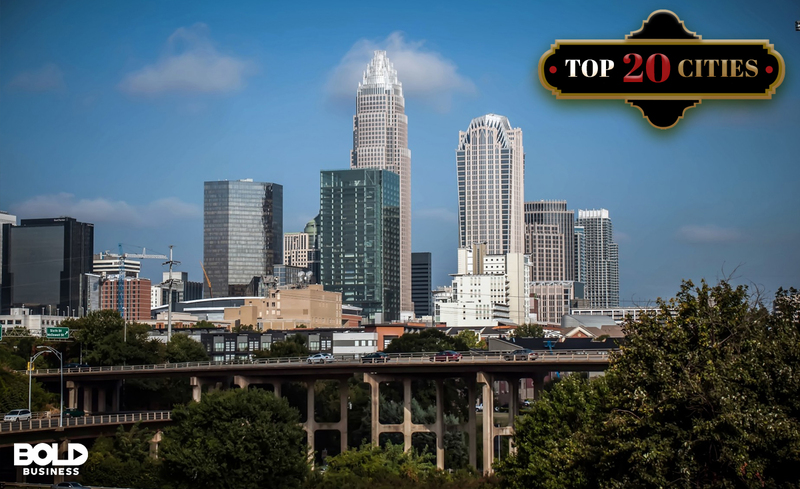 Charlotte is a prime Sunbelt location with 200 days of sunshine a year. This may explain the continuing growth in population, which is expected to double by 2030. Bank of America and Duke Energy have headquarters in the city. Factors for relocating to Charlotte include the low cost of living, which is 1.2% below the national average, the quality of life, and the affordability housing. 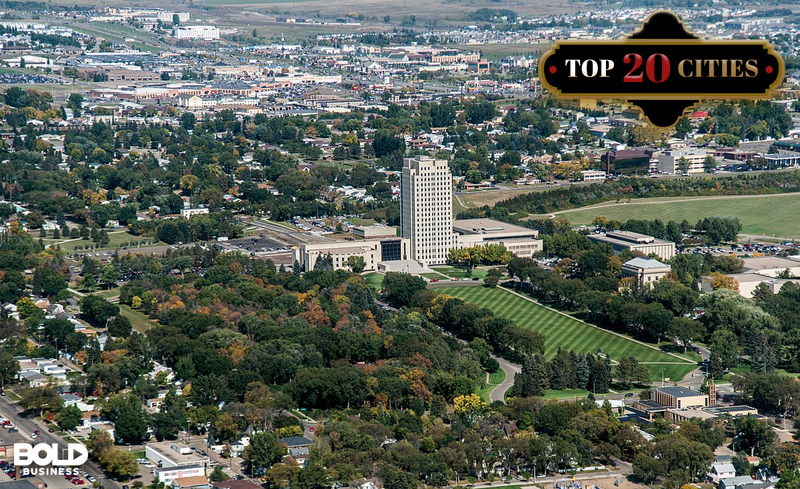 It has a population of 827,097, with an unemployment rate of 4% and a per capita income of $31,844. The median housing cost is $284,900. The second largest city in the State of New York was, until recently, considered economically depressed. But the metropolitan area sitting on the banks of Lake Erie has transformed itself. This has come thanks to a state-sponsored revitalization program called “Buffalo Billion”. Now the long-dead manufacturing industry that once fueled growth has been replaced by tech companies. For instance, there's Tesla, which chose Buffalo for its photovoltaic cell factory, Gigafactory 2. North Dakota, Montana and Canada sit on top of the Bakken Shale Formation, which has an estimated four billion barrels of oil reserves. The primary benefit from this modern “gold rush” is an unemployment rate of 3.1%. North Dakota itself has garnered a lot of attention from startups. The oil boom has not only attracted oil companies, it has also drawn in whole industries dependent on oil companies. This influx of opportunity makes it one of the best cities to start a business. Atlanta has a very entrepreneurial attitude. There are 430 new entrepreneurs for every 100,000 adults per month. Additionally, 72.1% of business owners rely on their businesses as their main source of income. These businesses pay a total $117.5 billion annually to their employees. Georgia Tech University is located within the area, which helps in promoting businesses and entrepreneurship. 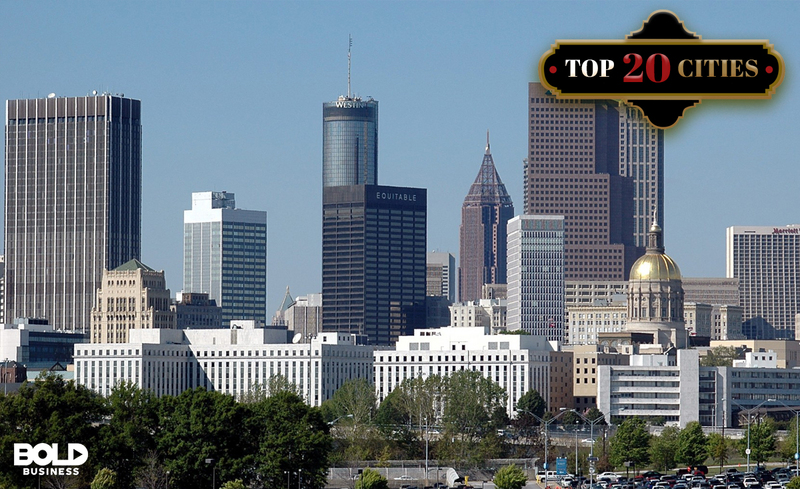 In terms of diversity, census data from 2007 showed that African-Americans owned 30.9% of Atlanta businesses. Women-owned firms represent 33.4% of the Atlanta businesses.